Paul Manafort’s place in the crosshairs of Special Counsel Robert Mueller’s probe into the Kremlin’s attempts to sway the 2016 presidential election seems to be growing more uncomfortable, Miami Herald wrote. Two sources familiar with the inquiry tell McClatchy that investigators are working to confirm information indicating that Manafort and the consulting firms he led earned between $80 million and $100 million over a decade from pro-Moscow Ukrainian and Russian clients, according to Miami Herald. Mueller’s expanded focus on Manafort’s complicated financial picture is zeroing in on whether he may have evaded taxes or engaged in any money laundering schemes, the sources say, and the hunt for his financial records through a labyrinth of offshore bank and business accounts has become an important prong of the investigation. Read alsoInvestigators talk to son-in-law of Paul Manafort about latter’s ties with Ukraine’s Party of Regions – mediaOverall, the probe centers on whether anyone on Donald Trump’s campaign, or other Trump associates, assisted Moscow’s election meddling. Russia’s cyber mischief last year was designed to help the real estate mogul win in November. But Mueller’s team may also pursue “any matters” that are found in the course of the probe. Given his pro-Kremlin connections and his closeness to the campaign, Manafort was uniquely positioned to play a role in any collusion between the campaign and operatives working on behalf of the Russian government to help elect Trump. 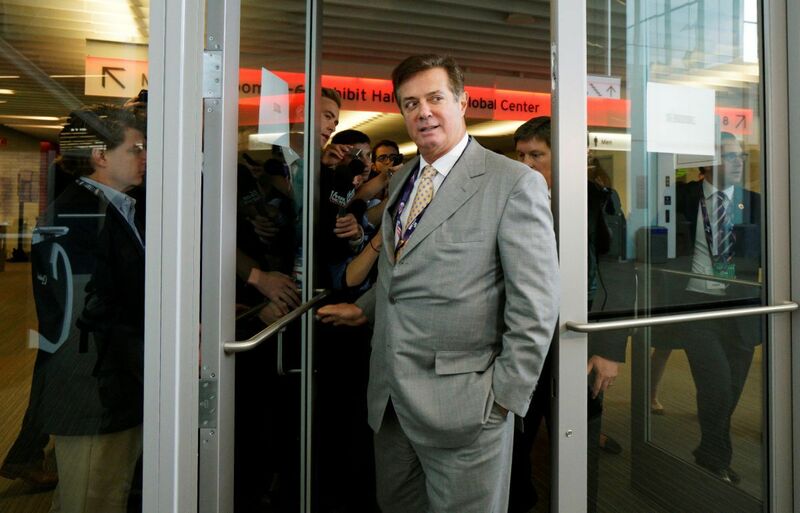 Read alsoFBI raided former Trump campaign manager Manafort's home in July – mediaWhether Manafort can be squeezed depends in part on whether he failed to report foreign income and overseas bank accounts annually to the Internal Revenue Service as required by law. The volume of money said to be involved and the time elapsed could put him at significant risk. That’s the sort of pressure that could cause Manafort to cut a deal with Mueller under which he might receive leniency in return for divulging what contact he and other Trump aides had with Russian officials and operatives during 2016. "Based on my experience with prosecutors, it would be typical that they're getting financial information to pressure Manafort to cooperate in a bigger case,” said former Justice Department prosecutor Barak Cohen, who is now a lawyer at Perkins Coie in Washington. There has been no indication to date that Manafort is cooperating with the feds. The New York Times first reported earlier this year that the investigators had obtained intercepts of Russian intelligence and other officials discussing the possibility of using Manafort in an effort to influence Trump’s views. Read alsoTrump Jr., Manafort reach deal with U.S. Senate panel to avoid public hearingManafort made a fortune working in Ukraine from 2004 to 2015 for a mix of pro-Moscow Ukrainian oligarchs and political figures, most notably ex-president Viktor Yanukovych, who was ousted and fled to Moscow in early 2014, and Russian oligarch Oleg Deripaska, a billionaire with good ties to Vladimir Putin. Manafort’s sudden departure from the campaign last August 19 came after a New York Times story about a “secret ledger” in Ukraine disclosing that he had received $12.7 million in off the books payments from Ukraine’s Party of Regions for a five year period, a charge that Manafort has flatly denied.